Calling her suspension "malicious" and politically-motivated, a former Florida elections official is asking a federal judge to reinstate her after she was removed from office by Gov. Rick Scott. Embattled Broward elections supervisor Brenda Snipes filed a federal lawsuit Monday against Scott and Senate President Bill Galvano, who are both Republicans. Snipes is a Democrat who worked in one of the state's Democratic strongholds. The lawsuit contends that Snipes' due process rights were violated and that the law allowing the governor to suspend elected officials is unconstitutional. 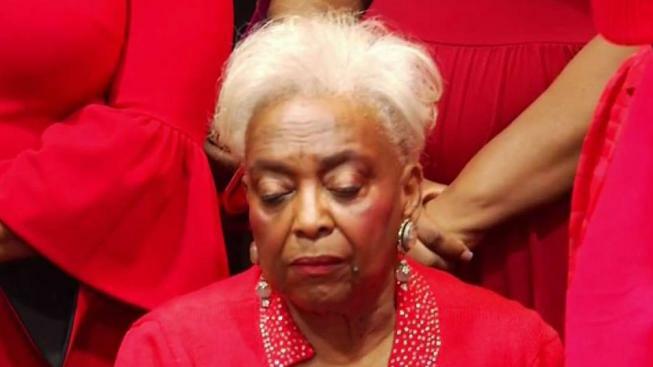 "Snipes seeks to fight for her reputation and stand up against the embarrassment that has been caused by Governor Scott's unnecessary and malicious suspension," states the lawsuit. "There are false allegations contained within the executive order and Snipes has never had a proper forum to state her position ... At this point Governor Scott's allegations have gone unchallenged as he sits 'high' on a throne utilizing state resources to continually humiliate Snipes." Snipes, first appointed to her post by then-Gov. Jeb Bush in 2003 and then elected to the job, came under withering criticism for her handling of this year's elections and a legally required recount in close races for governor and U.S. Senate. In her lawsuit, Snipes contends that allegations against her were either untrue or were caused by the governor's own interference after his U.S. Senate campaign sued her during the recount. Scott replaced Snipes with Peter Antonacci, who has held several posts at the request of the governor but has no elections experience. Antonacci played a pivotal role in the controversial decision to force the ouster of Florida Department of Law Enforcement Commissioner Gerald Bailey in 2015. Antonacci had been president of Florida's economic development agency before he was sworn last week to replace Snipes.